The various mechanisms by which our Stem Cell Therapy with hematopoietic cells works include neuroprotection, immunomodulation, neuro-restoration and neurogenesis. Our cells start the repair process by targeting the injured brain sties, they perform enzymatic restoration in the microenvironment, reduce proinflammatory cytokine levels, improve endogenous brain repair, secrete neurotrophic factors and growth factors, are responsible for cell proliferation, cytoprotection and angiogenesis, recovering lost tissue functions. 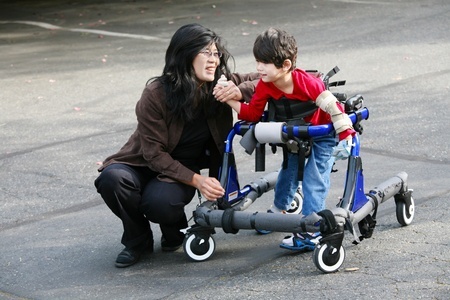 about our Stem Cell Treatment for Cerebral Palsy patients. At Stem Cell Therapy Mexico, our patients and their life quality is our main priority. We created a Follow Up Program, where our medical team contacts the patient one month and six months after their Stem Cell Therapy, to check in; on their improvements and their overall health and make necessary decisions. 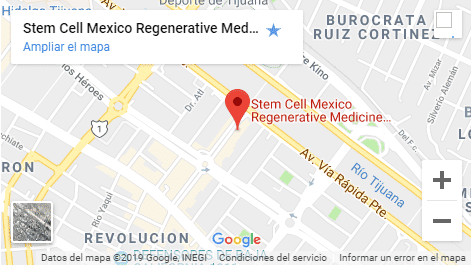 Stem Cell Therapy Mexico is a leading and certified clinic for stem cell treatments in Tijuana, Mexico. We treat patients from all over the world and all ages, who suffer from complex illnesses and health conditions, which have been labeled as: “Not Treatable” or conventional medicine has failed to help them. What are Hematopoietic Stem Cells? Hematopoietic Cells are inside the bone marrow and are responsible for the continuous generation of blood cells that allow to maintain the concentrations of these within normal ranges or levels, throughout life. In addition, these cells are responsible for the nutrition and oxygenation of tissues, blood viscosity, coagulation and are the foundation of the entire immune system. What is the advantage of using hematopoietic cells in Stem Cell Therapy? Obtaining hematopoietic stem cells from the bone marrow not only gives us this cell type, but we can also obtain, mesenchymal cells, cytokines, growth factors and differentiation factors that are found within the hematopoietic niche. This cellular niche obtained has a regeneration potential superior to any other. Who is a candidate for Stem Cell Therapy? Pediatric patients older than 6 months and adults. Patients can’t have HIV or other acute infections, tumors or any other type of cancer in the last five years before their therapy and in the last few weeks before Stem Cell Therapy than can’t suffer from hemorrhagic tendencies, severe hepatic dysfunction and other acute medical conditions, such as respiratory infection and pyrexia. Can Stem Cell Therapy cure Infantile Cerebral Palsy? The movement of their fingers (opening and closing them). How is Stem Cell Treatment for Infantile Cerebral Palsy done? Day 1 to 3: At their arrival, our patients will undergo a medical evaluation and have lab exams before we start our process. Following the signing of the informed consent we start with the stimulation process.Our medical team preps the patient and they inject a substance which helps the cells multiply, the duration of this process is one hour per day. After the procedure, our patients are taken to the hotel to rest for the night. Day 4: Our patients arrive back at the hospital and they are prep to be taken to the OR. The next step is to extract the cells and taken them to the lab, for the separation process (we use only the stem cells).Two hours later they are injected back into the patient and directed to the area that needs to be treated. The complete process lasts around twelve hours and it an outpatient’s procedure. Day 5 to 7: After a proper evaluation from our medical team, our patients are discharged. Time can vary depending on the patient and the condition treated, in some cases patients must stay longer in the hospital. All specific information about medical tests, pick-up location and more, patients will discuss it with our Case Manager. *All our Stem Cell Treatments are administered by licensed physicians with many years of experience, trained in both the United States and Mexico. Fill out the form on the bottom of the page. Tells us more about your medical conditions. The patient receives an initial evaluation by one of our certified physicians and/or medical geneticist who reviews your medical records, your current health condition, and conducts a DNA laboratory testing. Based on the initial evaluation and the patient’s preferences, the doctor will advise on the best type of stem therapy/transplant protocol for the specific needs. We proceed with the treatment, where the patient receives a series of stem cell injections either in one of our operating rooms or in our comfortable clinic depending on the patient’s physical condition and preferences. This same process is performed for as many days as indicated in the protocol. After the full treatment, the patient is taken to another hospital room with full amenities or stays in the comfort of our clinic, where they remain in observation by the physician for period of 2 hours. After full recovery, the patient receives a final evaluation, home treatment indications and follow-up program instructions to take home. 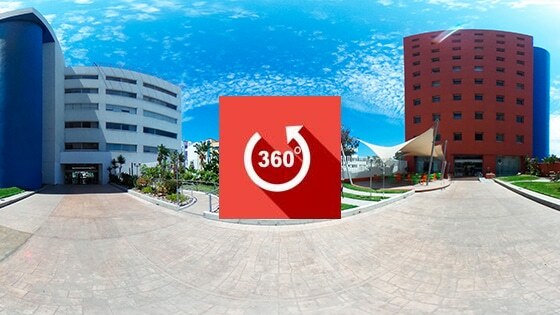 Stem Cell Therapy Mexico is the leading clinic for certified stem cell treatments in Tijuana, Mexico. We treat patients of all ages from around the globe, who suffer from complex illnesses and health conditions, which are believed to not be treatable through conventional medical means. Receive more informationin less than 24hrs. Stemcellmexico.org is an informational aggregator of experimental stem cell treatments from certified stem cell transplant clinics (partners) located in Mexico and certified under Mexican health and sanitary regulation. Please exercise caution and due diligence on health benefits and potential risks of treatments mentioned on this site by consulting with your trusted certified medical professional before inquiring.